Ms. Zotti was a senior attorney at Wellman & Warren, and is now of counsel with the firm. Her experience includes a broad range of litigation matters involving business, real estate, employment, and personal injury in state and federal court. 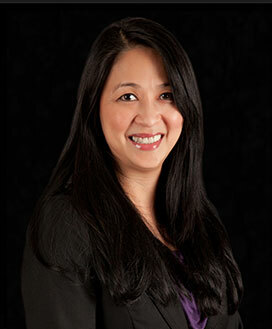 Cathy Zotti is a member of the State Bar of California, and is active in the Vietnamese community. Ms. Zotti is also admitted to practice before the United States District Courts for the Northern and Central Districts of California. Ms. Zotti earned her B.A. in Telecommunications in 1992 from Pepperdine University (emphasis on broadcast news), and graduated earning her Juris Doctorate from Whittier College School of Law in 2002. She was admitted to practice in California in 2003. Represents small to mid-sized companies for both the plaintiff and defendant. Represents entrepreneurs in the incorporation stage, including drafting agreements. Handled litigation disputes involving contracts, fraud, corporate and partnership dissolution, misappropriation of trade secrets, breach of fiduciary duties, and interference with business relations.